An Eritrean asylum seeker and his British Muslim partner have been found guilty of plotting an Islamic State-inspired terror attack over the Christmas period. Munir Mohammed, 37, a resident of Derby, met Rowaida El-Hassan, 33, from London, on a Muslim dating website, and was said to be days away from launching a bomb or poison attack, the Derby Telegraph reports. Police had found two of the three chemicals needed to make explosives, bomb-making manuals, and the poison ricin when they raided his flat in December 2017. According to Jeremy Ball, a BBC East Midlands correspondent, he planned to make a pressure cooker bomb of the same sort used in the Boston bombing, and had pledged allegiance to an Islamic State commander who urged the poisoning of food to kill enemies of Islam. An asylum seeker from Afghanistan who he lived with said that he was obsessed with religion, arguing with his housemate about wearing shorts, and his Facebook page contained praise for Osama Bin Laden, Islamic State propaganda, and beheading videos. Despite the shocking content, he had hundreds of ‘friends’ on the social media website. Searches at properties in London and Derby uncovered a range of materials that would be of assistance to someone creating explosives, including a range of chemicals and equipment. Mr. Mohammed worked in a ready meal factory and is also accused of using sophisticated fake documents to allow him to work illegally in the UK. The Old Bailey heard Mr. Mohammed signed up for a “new job in the UK”, while messaging an Islamic State commander on Facebook, and used Ms. El-Hassan’s chemical knowledge, as she was a trained pharmacist. 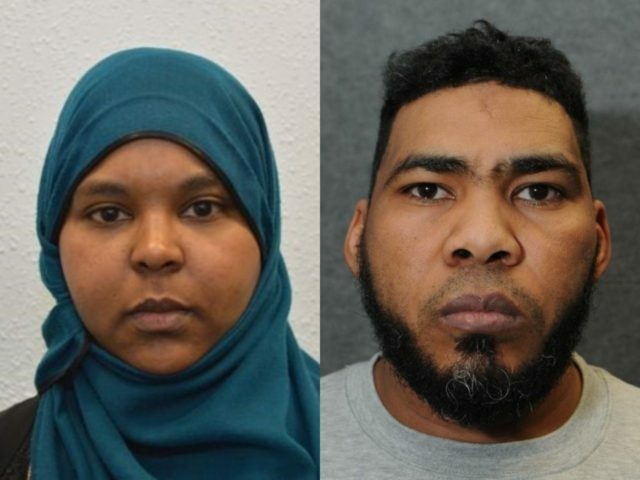 According to the BBC, Sue Hemming, from the Crown Prosecution Service, said the couple was “clearly attracted to each other through their support for Daesh’s [Islamic State’s] violent ideology and its intolerance of those who do not subscribe to its views”. “They planned to kill and injure innocent people in the UK and had the mindset, the methodology and almost all the material needed for Mohammed to carry out an attack,” she said. The judge told Mohammed: “You have been convicted of planning a potentially devastating terrorist attack by creating an explosive device and deploying it somewhere in the UK targeting those you regarded as enemies of the Islamic State. “Rowaida El-Hassan, you share the extremist mindset with Munir Mohammed and you were ideologically motivated to provide him with support, motivation, and assistance. Mr. Mohammed was unanimously convicted of preparing terrorist acts between November 2015 and December 2016 alongside Ms. El-Hassan, who was convicted of the same charges, by a majority of 10 to one jurors. Judge Michael Topolski QC remanded the pair in custody and told them they were likely to face jail when they are sentenced on February 22nd.